As a kid growing up in Toronto born to Italian parents that migrated from Italy. The opportunity to play organized pickup hockey was never insight nor in the budget. I always felt that I missed out on my childhood dreams to play pickup ice hockey but that did not stop me from learning and practicing every opportunity I had. 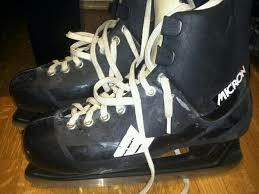 My first pair of skates; I inherited them my older brother were those plastic micron skates that always braised the back of my calf with every stride I took on the ice. Very painful I might add. By far the best skates I had owned growing up were a pair of Dan Daoust skates… I cherished those skates and they made me fly on ice. As a pre-teen I would look forward to every Friday, Saturday and Sunday during the fall and winter months. I would visit local arenas during public skating hours to practice my edge and craft my skate skills. However, I still had the desired to play pickup hockey. Just growing up watching Leafs and Habs games were instrumental for my desire to play pickup hockey more. Playing pickup street hockey was not enough for me and the opportunity to be part of a real hockey team lingered. I saved my birthday money and asked for hockey equipment for Christmas to start building my hockey bag. 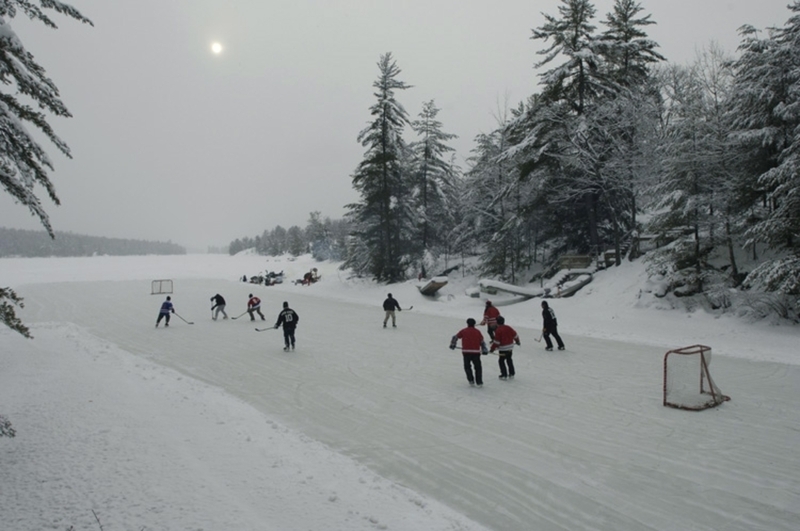 I would find every opportunity possible to play as a teenager going to the local outdoor rinks, playing pick up hockey at Double Rinks and Chesswood whenever we had PA days and holidays. In my twenties, I had the desire to join a league an play pickup organized hockey. My first game out I had no clue what I was doing and I still smoked like a chimney. That quickly stopped after my first shift on the ice. Disoriented and out of breath I was still determined to get better and play harder and skate faster. Over the years, I did get better to play at an adequate C – D level pickup hockey. I am 42 today and still playing, organizing games with my buddy Joe through our website www.GTAHOCKEYCLUB.com. We are determined to make pickup hockey available to everyone no matter skill level. Our site enables players to find games and organizers to post games, manages rosters, makes organizing a pickup hockey game easier for all. 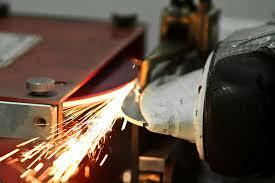 What can I say… I love hockey; its my passion, hobby and it makes me happy!